While owning a short-term rental can be a rewarding and enjoyable experience, the time will come when you want to move on. 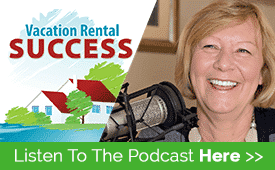 Whether that’s to release capital to buy another vacation rental property or to get out of the business altogether, the dilemma is to get the value it deserves based on the income generated over the years. Selling a residential property is relatively simple. Contact a realtor who will suggest a value based on comparable properties for sale in the area. They’ll also look at past sales and how long they were on the market. Once a price has been set, they’ll promote the property on their networks, and if the price is competitive for the area and the market, it should sell within a short time. 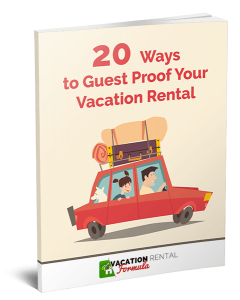 However, if you’ve spent years building a solid vacation rental business, it’s likely you’ll want to benefit from the hard work you’ve put in, and have that reflected in the selling price. Ideally, it will sell to a buyer who wants to continue using it as a short-term rental. They will generally be comfortable paying a premium to take advantage of the marketing collateral you’ve generated such as a website and social media accounts and providing privacy laws are followed, you can even share a past-guest list. If you have future bookings in place, this can create an attractive selling feature for a buyer who is ready to step straight into a rental. The issue arises when you present a real estate agent with these ideas, as most are unfamiliar with the vacation rental industry and the differences involved with selling a business as opposed to just a second home. You want to select a real estate agent who understands how short-term rentals work in your area. The person should know about current and pending legislation, have a good grasp on the seasonality of the area in terms of inbound tourism, and be willing to work with you on creating a sales package that reflects the business potential of the property. What experience do you have with short-term rental sales in the area? How will you market my property to potential investors and share the business information? 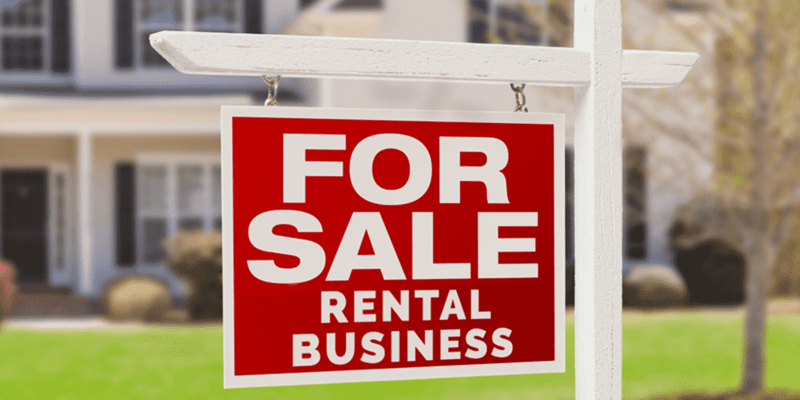 What networks will you use to promote the property as a short-term rental business? Are you willing to set a price based on both current market value and the goodwill generated by the rental component of the property? This is the most important part of the process if you aren’t doing self-marketing so make sure your research is thorough. Laying the groundwork for a successful sale should come well in advance of deciding to sell the property because it’s more than staging the place for photos and getting out of the way when prospective buyers show up. Investors will do their due diligence before parting with money on a business concept they may be unfamiliar with, and you need to be ready. They want to know how it works, how profitable it is, and how much of their own time will be required to operate it successfully. While you may operate on a shoestring and do most of the tasks yourself,f today’s buyers are looking at ways of operating remotely and having little hands-on time. Producing a comprehensive sales package that covers every aspect of the management of the business of renting is essential to getting the right price. An investor wants to see your pricing, occupancy levels, the fixed and variable costs, and some evidence there is scope for the income to grow. In general, you will need 3 years of figures to show. Create a spreadsheet showing details of all your marketing outlets, including fields for pricing, the percentage of reservations taken and annual income per platform. If you have a website and social media platforms that you use to promote the property, include URLs and any information that shows the value of them to a potential buyer. Reservation management – If you just rent with one platform such as Airbnb or HomeAway, this aspect is already taken care of, however, most successful owners market on multiple OTAs. In this case, a buyer will want to see a robust reservation system that can manage bookings from different platforms. Using a channel management service such as that offered by Owner Rez will ensure calendars are synced across all of them. Lodging Taxes – Any buyer will need to be assured that all taxes have been remitted up to the closing date, and will also want a system in place to take this forward. Avalara MyLodgeTax can get this organized for you and help make it a turnkey process. Marketing – Having an automated system set up to deliver a series of emails to guests from the time of booking to a request for review, is a huge benefit to a new owner and makes a valuable sales feature. Using a platform such as Active Campaign (A) or Constant Contact will allow the creation of a sophisticated process that will only need change of contact details to seamlessly transfer to a new owner. Cleaning and maintenance – Setting this up in a new property can be time-consuming so offering a turnkey management plan is a positive advantage in a buyers package. Not simply having a list of service providers and resources, but a system for scheduling cleaners and maintenance providers could swing a deal. Properly is a great resource for this style of service. Don’t wait until you decide to sell before thinking about all the things that will get you the best price. Building a Buyers Package should be something that’s on your mind from the time you start your business. Just update it regularly – maybe once a year – and you have something that gives a competitive edge when you come to sell.